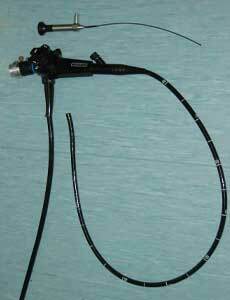 We have two endoscopes available for investigation of internal problems. The larger of the two scopes is a one metre long fiberoptic flexible endoscope, which allows us to investigate gastrointestinal problems non-invasively. We are also able to biopsy areas which are problematic, or retrieve foreign objects which are lodged in the oesophagus. Our smaller fiberoptic flexible endoscope, which is just 2mm wide, is used in smaller orifices, such as the ear canal or in the nasal cavity. If you have any concerns about your pet’s health, contact us today.